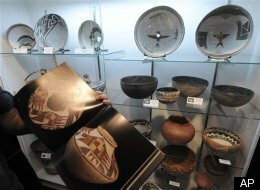 SALT LAKE CITY (AP) ¯ A Utah man who once bragged about taking American Indian artifacts from federal lands avoided jail time Thursday after a federal judge said he decided to show leniency after reading letters from the man’s two daughters. U.S. District Judge Dee Benson said he planned to give Aubry Patterson, 57, prison time but changed his mind after reading the letters, which said Patterson was an “amazing father” who had a hard life but always “provided for us and put food on the table.” Patterson’s teary daughters accompanied him to court. Benson instead gave Patterson three years of probation, waiving guidelines that called for more than a year in prison.